Little Lil has finally found her forever home!! She has been with us for almost three months and had really become part of the Twin Cedar Pack. We will miss her very much but she is one lucky little dog. She has a family to love and care for her and the best part is....she has a new mom who works from home so she will always have a person to be with. She is now living in Jackson so hopefully she will be coming back for our drop in group classes. 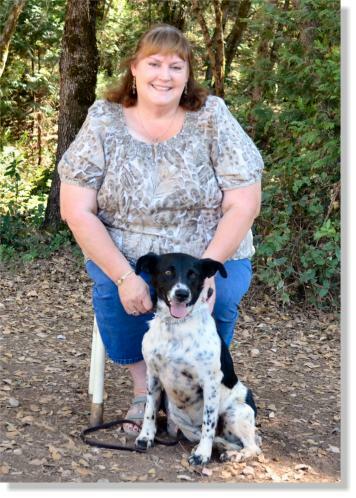 Little Lil comes to us from the Calaveras Humane Society and is a real sweetheart! 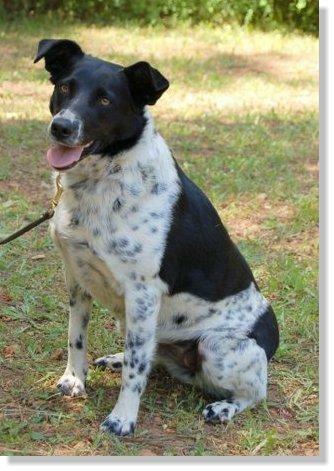 If you want a really cool dog without having to go through puppyhood, this girl is for you! 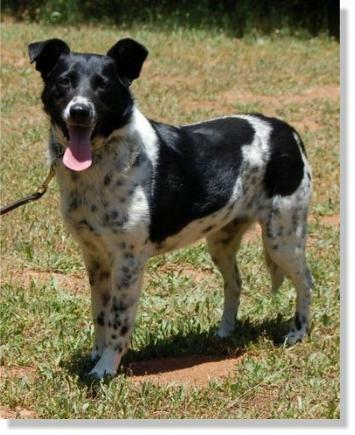 She is about 3 years old and is a cross between a Cattle Dog and a Border Collie. She is smart as a whip and just loves people. She has been very good with all of our dogs and is even going on our evening pack walks. She loves to roll and play in the water canal. She is also always up for a good game of fetch!! 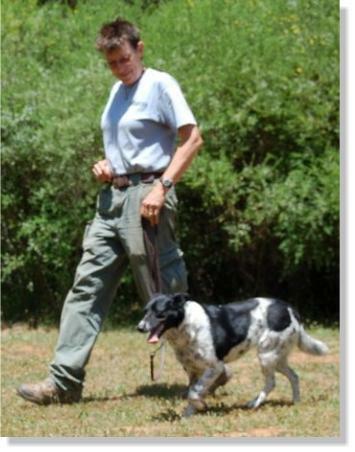 If she was a little younger she would have made a great search dog. Lil ended up in the Second Chance Program because she is an escape artist! We have been working on the problem and she is doing much better. Her previous owners state she is good with kids, is house broken and good with other dogs, which we have seen here at the ranch. They did say she enjoys chasing cats and if you have a possum problem, she can take care of that in about two days; hence why she should go to a home without cats!! 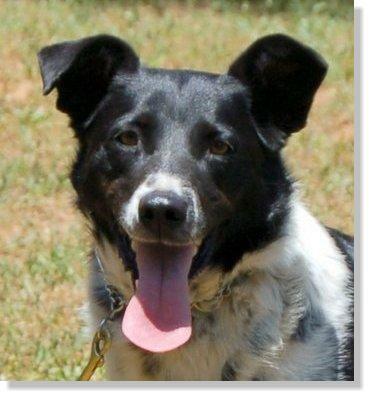 Lil is coming along nicely with her obedience training and like any other Border Collie, she is awesome! We do not expect to have this little girl for long so if she sounds like the dog of your dreams… give us a call to come out to meet her.